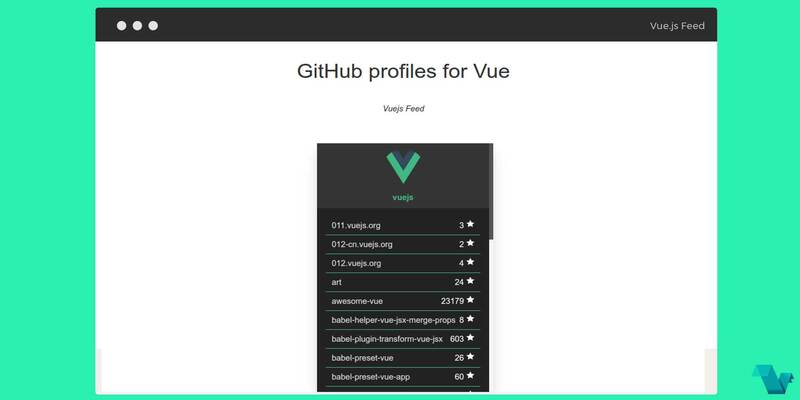 vue-github-profile is a plugin that essentially given a user, displays their basic information along with the repositories in the given profile. The list is preformated with styles, although you can specify the width via props on the component. To start working with the vue-github-profile use the following command to install it. If you would like to display it differently you could apply styles directly on the component using classes or better yet modify the GithubProfile.vue file to fit with your enviroment.